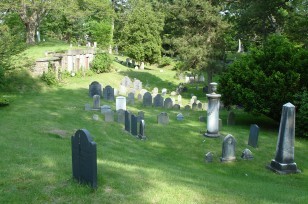 The oldest stones, dating from 1718, are found in the center front section between the two rows of tombs. 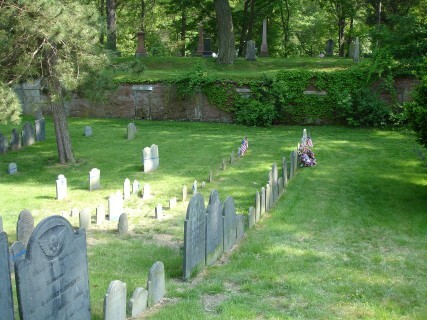 Note the row of smaller footstones behind the row of headstones. On the map, these burials are in the unnumbered center area. 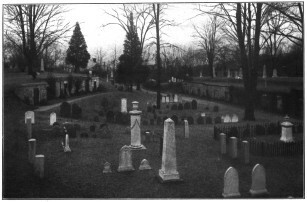 Nineteenth century burials can be found on the central ridge as well as around all edges of the cemetery. 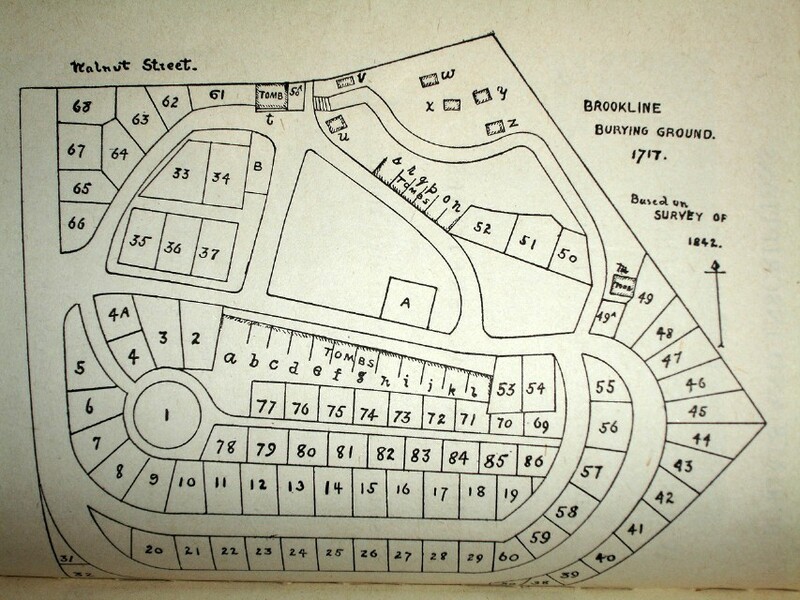 On the map, these later burials are mostly in numbered lots.